Highly styled 3 Lt. OUTDOOR pendant with ETL wet label certification. 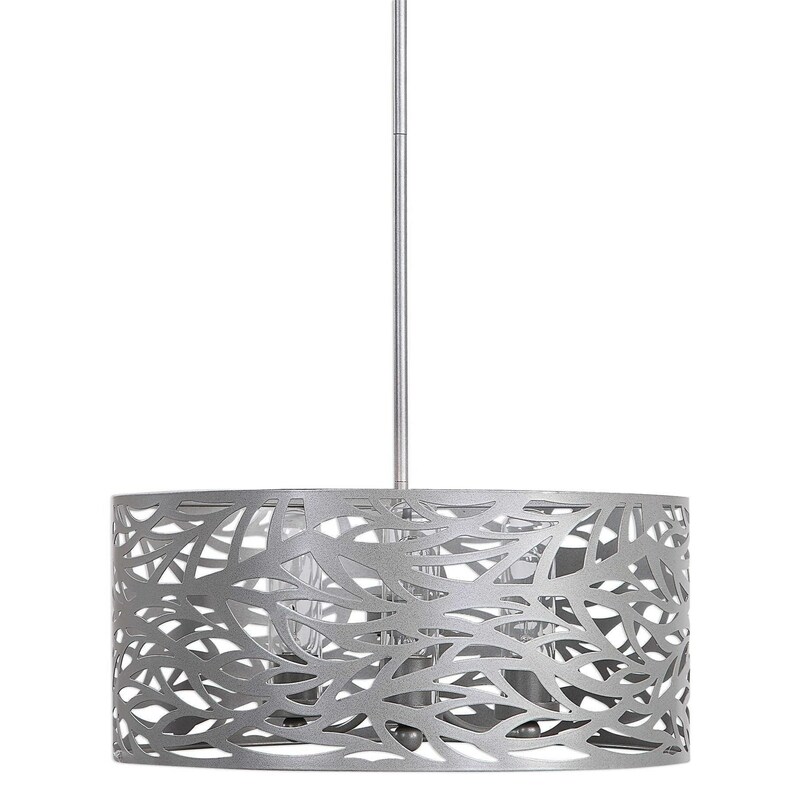 In an Elm leaf cutout design with a matte silver powder coat finish and clear glass dome shades. 3-60T10 watt max, Edison sockets. Includes 15' wire, with 3-12" stems & 1-6" stem for adjustable installation. The Lighting Fixtures - Pendant Lights Elm 3 Light Outdoor Pendant by Uttermost at Suburban Furniture in the Succasunna, Randolph, Morristown, Northern New Jersey area. Product availability may vary. Contact us for the most current availability on this product. Browse other items in the Lighting Fixtures - Pendant Lights collection from Suburban Furniture in the Succasunna, Randolph, Morristown, Northern New Jersey area.